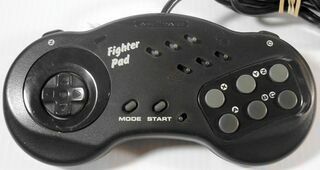 The Fighter Pad is a third-party six button control pad created by ASCII for the Sega Mega Drive. Super Nintendo variants also exist. This may have been adopted as an official product by Sega Europe. More research is required.